In light of all this downer music news, here’s a tiny bunny eating some wildflowers. Let yourself enjoy the little things. Our Annual General Meeting is tomorrow! If you’re in Montreal, please do stop by – it’s your chance to catch up on all the things we’ve done over the past year and get an idea of what’s coming up in 2017. All your fave CKUT folks will be there, and we’ll have food courtesy of Midnight Kitchen. Check out the details & RSVP here. 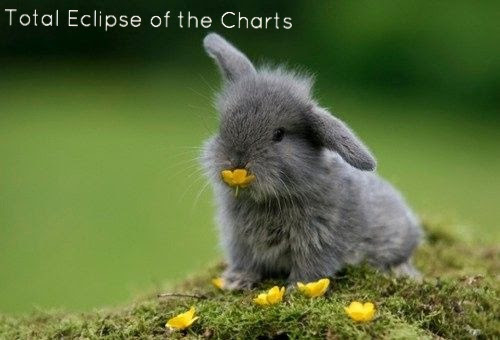 This entry was posted in CKUT programming and tagged bunnies, specialty charts, top 30, total eclipse of the charts on December 1, 2016 by CKUT Music Coordinator.